As a child Prakash Rao loved studying. But he could not realize his dreams since his father believed that education would get him nowhere. So, the best choice left for Rao by his father was the ‘chai stall’. D. Prakash Rao, who was denied an education, is now running a school for the kids of the slum dwellers in Cuttack, Odisha, so that these kids get a proper education. This chai waala, who is a renowned social activist, is also a teacher in his school. The school runs from nursery till Class 3, after which Rao enrolls them in a government school. There are more than 80 underprivileged children studying in the school. The tea stall that Rao runs is the only source of income for the family. Rao spends 50% of his income to run the school. Everyday Prakash Rao distributes 50 litres of milk to all the school-going children in his locality. He started this initiative when he realized that some students weren’t able to do well in class because they were poorly nourished. Prakash Rao is the recipient of many awards. He has also achieved a national award for his contribution to blood donation. 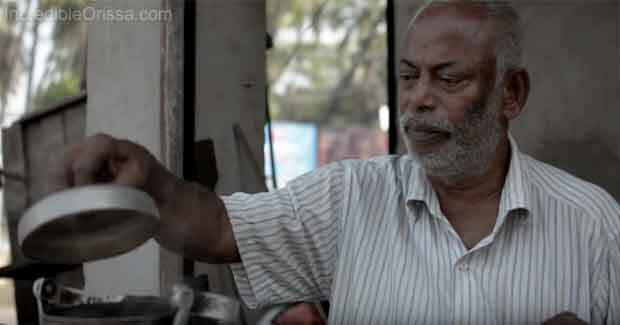 Prakash Rao has been continuously donating blood since 1976. Watch this beautiful video by The Incendiary Films, where D. Prakash Rao has spoken his heart out.